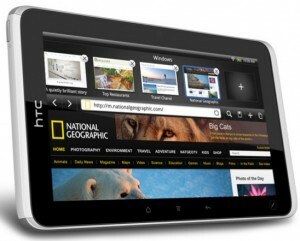 HTC today displayed a new web tablet HTC Flyer at Mobile World Congress in Barcelona. 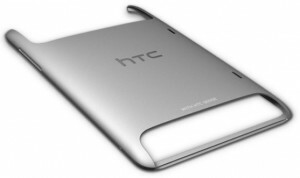 Flyer is the first and long awaited tablet device from HTC, and it has been announced that it will be launched with an upcoming Android version 2.4. HTC Flyer is much powerful when you list the hardware specifications. It doesn’t have a dual core CPU but the inbuilt 1.5Ghz processor is pretty faster and new to the mobile world. Flyer has an alluring aluminum Unibody enclosure, and around 1GB RAM and 32GB on-board flash storage. 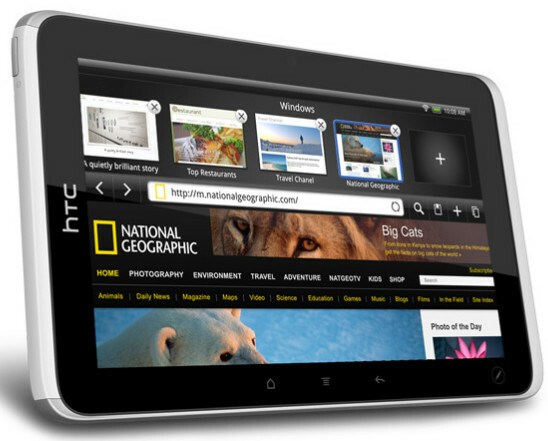 It is a surprising move from HTC not to use the latest Android version 3.0 in Flyer tablet. But the new tablet optimized Sense UI in HTC Flyer is very promising, and it seems that it is better than HoneyComb UI in some aspects. Sense UI now has a 3D like effects that appear when you slide through the widgets, and it is faster and responsive. Animated weather, HTC Friend Stream, Gallery apps, music player and all other widgets have been redesigned to meet the tablet specs. HTC Flyer comes with a 7 inch, multi-touch enabled, capacitive touch screen with 1024 x 600 resolution. The aluminum Unibody packs a 5MP camera in the backside and a 1.3 MP in front side. HTC Flyer has a removable battery, and it is 4000 mAh in capacity. Other features of the Flyer tablet are Bluetooth 3.0, MicroSD card support, MicroUSB port, GPS, Wi-Fi, G-Sensor, Ambient light senor, Accelerometer and HSPA 3G connectivity. 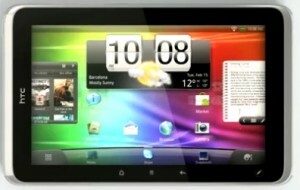 HTC will launch Flyer Android tablet in Q2, 2011. They have not mentioned the expected price of Flyer, but we believe that it would cost around $1000 for the unlocked model. Update: Amazon German website listed HTC Flyer for $900. $900 is still expensive, there are any information if it will be sold with data plan contract?